The core cast of Marvel and Freeform's New Warriors has been announced, including the coveted role of Squirrel Girl. Over the past few years, Marvel have slowly been building out the television side of their universe. From Agents of S.H.I.E.L.D. and Agent Carter on ABC, to The Defenders and their solo series on Netflix, things are just getting started. Inhumans will join ABC in the fall, while Hulu will be getting Runaways next year. Meanwhile, Freeform will play host to both Cloak & Dagger and New Warriors. Back in April, New Warriors was ordered to series with more news quickly following. The writers room began cracking on the story, while news of the characters came a few weeks later. Focusing on a more recent take on the superhero team from the comics, the show will follow the fan-favorite Squirrel Girl along with Mister Immortal, Microbe, Night Thrasher, Speedball, and Debrii. And while the role of Squirrel Girl has been hotly sought after by a number of actors, Doreen Green and the rest of her teammates have now officially been cast. 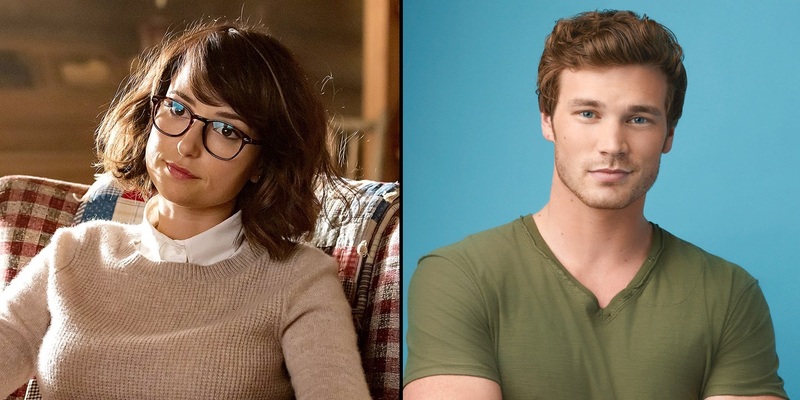 THR have the rundown on the official cast of the New Warriors, which will be led up by Milana Vayntrub (This Is Us) as Doreen Green/Squirrel Girl and Derek Theler (Baby Daddy) as Craig Hollis/Mister Immortal. The remainder of the New Warriors cast includes Jeremy Tardy (Dear White People) as Dwayne Taylor/Night Thrasher, Calum Worthy (Austin & Ally) as Robbie Baldwin/Speedball, Matthew Moy (Steven Universe) as Zack Smith/Microbe, and Kate Comer (The Comeback) as Deborah Fields/Debrii. While each of the actors have history on TV, they still represent a crop of relative newcomers to TV. As such, they'll be able to craft the definitive versions of the New Warriors within the live-action Marvel universe. Thanks to the New Warriors character breakdowns we received a few months back, we already now the rough outline for each of the young superheroes. All told, it looks as if Marvel will be venturing into pure comedy for the first time with the coming-of-age series. New Mutants will be filming in Atlanta and joins a growing list of TV series in doing so, though a firm start date hasn't been revealed yet. With the cast now in place, however, it shouldn't be too much longer until production begins. NEXT: Who Are the New Warriors? New Warriors is expected to premiere on Freeform next year.